Many have touted this year as the best Premier League season ever and who can argue? In seasons gone by, the title would have already been wrapped up and the relegation battle would be whittled down to who will fill the final spot. Most of us would be ready to think about next year and see who comes and who goes in the transfer market. Not this year! As we enter the final days, with just two matches remaining, three teams could all feasibly win the title on the last day with favourites Manchester City leading the chase, closely followed by Liverpool and Chelsea. Down at the bottom, as many as five teams could face the dreaded drop into the Championship and a potential loss of millions in TV revenues – unthinkable for some clubs facing huge wage bills. Sunderland may pull of the great escape whilst midlands clubs Aston Villa and West Brom are both nervously looking over their shoulders. Whatever unfolds this week, you’d be nuts to miss it. You can follow all the final day drama live on Sky Sports using our superb value Entertainment Extra + Sports Slingbox system or catch the highlights with Gary Lineker and the BBC team on Match of the Day using our hugely popular Freeview IPTV set-top box. 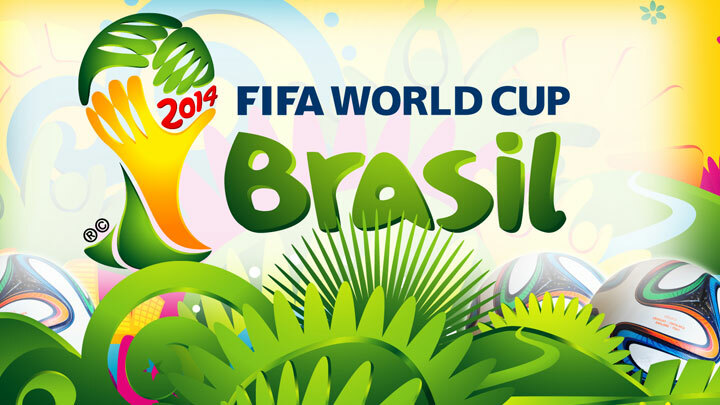 And just when you thought the football drama was about to end, don’t forget that it’s the 2014 World Cup in Brazil next month! Yes, almost as soon as the Premier League season finishes, the 23 man England squad will be selected by Roy Hodgson on May 13th and days later, will host an international friendly against Peru at Wembley, then shortly afterwards they jet off to Florida to continue their initial preparations by playing two further friendlies in Miami against Honduras and Ecuador on 4th and 7th June respectively. England begin their World Cup campaign with a Group D match against Italy in Manaus on 14th June, followed by matches against Uruguay and Costa Rica. On paper it is a tough group and with conditions expected to be hit and humid, the Three Lions may just get cooked out there. But what better way to cheer on the national team than by making sure you tune into BBC or ITV to catch the British coverage of all of England’s games. Can the Rocket Ronnie lift another title? The World Snooker Championships in Sheffield are just about coming to a close, with the semi-finals being contested between Mark Selby and Neil Robertson and Barry Hawkins plays defending champion Ronnie O’Sullivan. The rocket got off the shaky start at The Crucible earlier in the tournament but has gathered momentum and form with each win and looks set to lift what could be his sixth world title, further cementing his reputation as the greatest and most gifted player ever to hold a John Parris cue. With his popularity as high as ever and his motivation looking stronger by the day, most pundits agree that only Aussie World Number 1 Neil Robertson has a chance of stopping him from lifting the trophy once again. As always, you can catch the live coverage on BBC TV all this weekend, with the final to be played this Sunday and Monday. Any one of our UK TV systems has live and on-demand BBC TV coverage so do not miss a single pot in the remaining frames of this years tournament.